On April 29, 2010, an Android networking issue was submitted to Google by an HTC Desire owner. Here is how he briefly described the glitch: "When connected on WiFi to a network which specifies a domain name, hostnames in that domain do not resolve without appending the domain to the hostname." This was preventing him to access the internet on his smartphone when connected to his university's wireless network. Believe it or not, this issue has yet to be resolved in Android, even though it has been over two and a half years since it was discovered. Yeah, we know it probably isn't affecting a whole lot of Android users, but still, minor glitches get fixed all the time, and this should have also been taken care of long ago. It has been confirmed that a fix is going to come eventually, but not until the next major Android version is out. 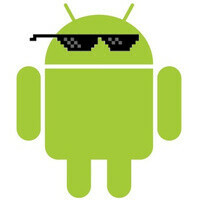 As in the next major Android release after 4.2 Jelly Bean. What took Google so long to resolve it, you ask? Well, here's what a developer had to say on the matter: "Guys, it was a matter of prioritization and resources. We don't have people to put on every requested feature and we certainly were not idle during this time. I apologize it took so long." So yeah, apparently what some call a software bug, others consider a "requested feature". Has anyone ever had to deal with the aforementioned glitch? Let us know down in the comments! True. I haven't experienced this, but it is very interesting to read this article because a few years back, my brother was a freshman in college and owned the Samsung Captivate (original Galaxy S series). He could not connect to the school's WiFi ever, so he ended up returning it and getting an iPhone. I never thought much of it. I didn't know why it wouldn't connect, I actually thought it would have had more to do with the college's WiFi than Android. Very interesting. Yes, I have, in my university and I asked the IT guys about this. They could not do anything about it and verified other students were facing the same problems. IMO, given the popularity of Android handset among younger people, this is a big FAIL. I don't care how difficult it is to get fixed or why Google hasn't prioritized it properly but not being able to connect over Wifi from your smartphone is a bit more than a glitch. As a Desire owner I agree! Yeah they would say you don't need a feature like that, like they do with all the other features they don't have. This website is getting worse and worse every day. How hard is it to just stick to what the article is about and not bring up another company? I'm talking about both apple and android fans. You guys are getting sad. I am the Pokemon Master!!!!!!!! That's never happened to me when trying to connect to my school's WiFi, even with my HTC Aria I had a while back when it was running Eclair. That's a pretty bad bug though, needs to be fixed.